Beneva Flowers is recognized as a funeral flower specialist with personal affiliations with all local funeral directors in the Sarasota County area. We design fresh flower baskets, standing flower sprays, elegant funeral wreaths, floral funeral hearts, flower crosses, or beautiful flowering gardens. We also deliver a wide variety of appropriate funeral, sympathy or memorial green and blooming plants. 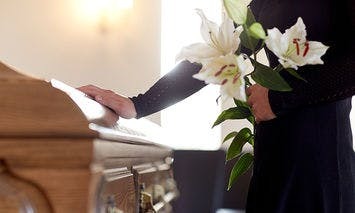 At Beneva Flowers, we deliver custom funeral flowers, sympathy or memorial flowers to all local funeral homes in Sarasota, Lakewood Ranch, Bradenton, Venice and Port Charlotte funeral homes and mortuaries. Flower Delivery also available to Funeral Homes and Mortuaries across the USA 24 hours a day 7 days a week.